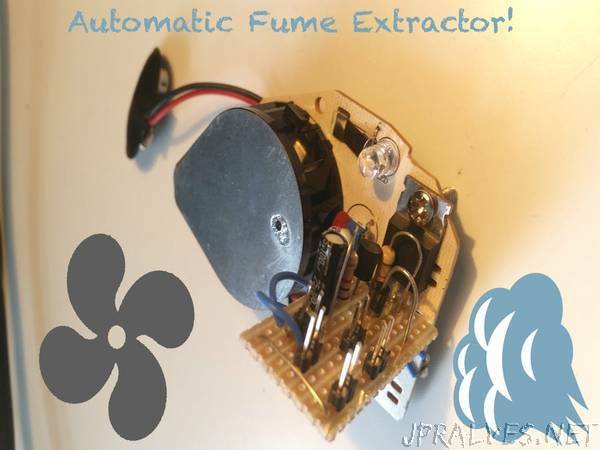 “Hack a cheap smoke detector to automatically extract smoke, carbon monoxide and solder fumes! I’m currently doing a lot of PCB assembly in work and I find the soldering fumes irritate my eyes and lungs.Using a cheap smoke detector, we can use its piezo buzzer output to drive a MOSFET switched extractor fan. This same design could be used to ventilated a room in the event of a fire or if carbon monoxide is detected! Full parts list in BOM attached. The IC on the board is a Shanghai Belling BL59S10. This IC contains all functions needed to detect smoke, drive the piezoelectric buzzer and handle alarm interconnections.